We all know very well that tracking the new versions of Android, the tech giant Google also introduces new features in the field of mobile devices. 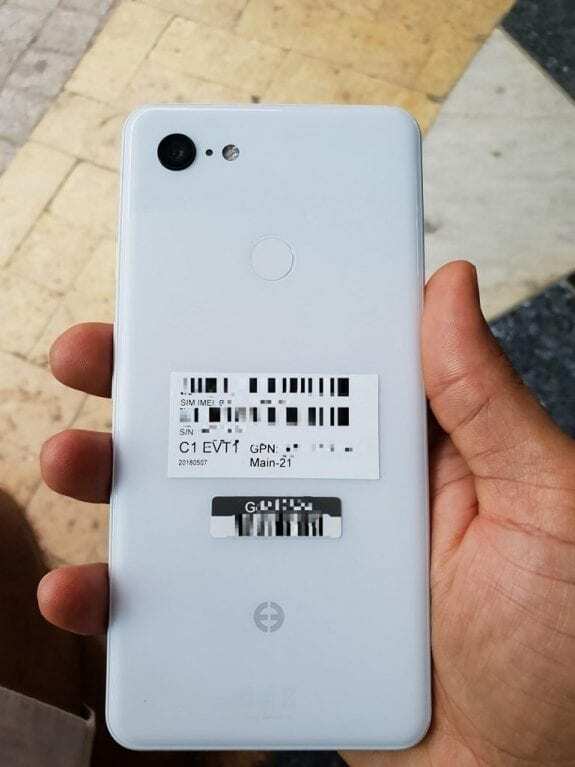 Hence, now according to the latest reports, the tech giant Google’s Pixel 3 XL new leaked images revealed its key specifications. With the end of summer, there is also the news of the tech giant Google for the smartphone market, both in software and hardware. When preparing two new Pixel smartphones, it seems that the first data begins to appear. So, let’s meet some of the specifications of the Pixel 3 XL. Brands such as the well-known Chinese smartphone manufacturer Huawei, the tech giant Apple, the South Korean giant Samsung, and the tech giant Google choose the end of summer to introduce and launch great news in the smartphone market. By October, models such as the South Korean giant Samsung’s Galaxy Note 9, the well-known Chinese smartphone manufacturer Huawei’s Mate 20, the tech giant Apple’s iPhone X 2019 and the tech giant Google’s Pixel 3 & Pixel 3 XL should define new concepts in the smartphone market and shuffle the choice of users at the time of purchase. In the case of the tech giant Google, it will be even two top-of-the-range to be released, the Pixel 3 and the Pixel 3 XL, which should diverge between them in size, but also other features. After some images have been left on the possible end of these devices, their characteristics are now also beginning to be known. According to the famous benchmark test platform Geekbench, responsible for various specifications leaks, the new Google Pixel 3 XL should not bring great hardware news, and may even disappoint some fans at some points. In a test run on August 1, the tech giant Google’s Pixel 3 XL displays with the usual Qualcomm Snapdragon 845 processor and 4GB of RAM. It is true that for most tasks this amount of memory is sufficient, however, in the face of competition it may begin to be considered short. At the punctuation level, the tech giant Google’s new Pixel 3 XL totaled 2426 points in single-core and 8355 points in multicore. In order to compare the scores, in our tests, the well-known flagship smartphone of the well-known Chinese smartphone manufacturer OnePlus’, of course, OnePlus 6 totaled 2418 points in single-core and 9071 points in multicore. Moreover, it is always a good time to receive a ration of rumors in the world of smartphones, and earlier we saw that how the reliable Mark Gurman, who has leaked some details of the upcoming Google mobile devices. 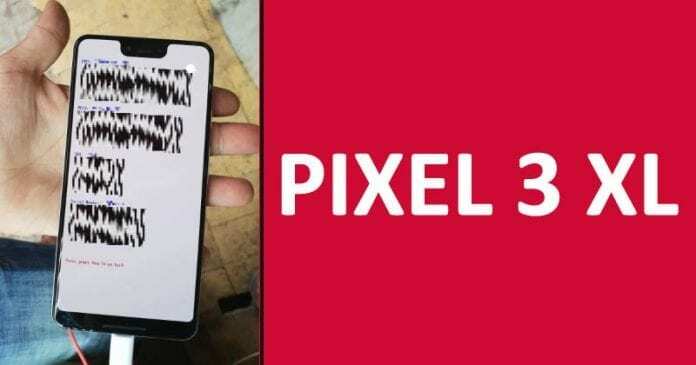 In fact, a few days ago there were the first rumors that confirmed the name of Pixel 3 and Pixel 3 XL, as well as some possible features filtered in the beta of Android P.
According to Gurman, the Pixel 3 XL will have a renewed design that will bring us a screen with reduced frames where the famous notch will be released just like the tech giant Apple’s iPhone X. But this reduction of frames would be presented only on the sides and top since the bottom would still have its frame in order to maintain the double front stereo speaker. On the other hand, the tech giant Google’s Pixel 3 would not have a notch like the tech giant Apple’s iPhone X or a ‘full screen’ design. Hence, there is little to know all the details about this new device, however, the fear is that these new devices from the tech giant Google fall short of the quality that has accustomed us. So, what do you think about this? Simply share all your views and thoughts in the comment section below. Tushar Subhra Dutta is a content writer at Tech Viral. As, he writes about Technology, Science, Gadgets, Hacking & Security, Social Media and much more. Roblox: What It Is, Why It Is So Popular And How It Works?